Coconut oil with its antiviral and antibacterial properties is said to be the healthiest oil on earth and if you look at the people living in the Philippines it is not difficult to see why this oil is considered to be a miracle oil. Coconut oil is made from the meat or kernel of the coconut fruit and makes for a great frying and cooking oil because of its high smoke point. The medium-chain fatty acids found in this oil have also been proven to have a wide range of health benefits. * It will help your body fight and resist illnesses. 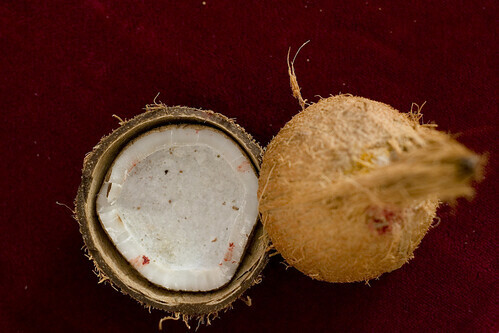 * The inclusion of coconut oil in your diet can actually help you get rid of tapeworms and lice. * It can kill viruses that case measles, hepatitis C and herpes. * It also kills yeast and fungi that can cause athlete's foot, thrush, Candida and diaper rash if applied topically. * It will boost your energy levels and is a quick source of energy. * It improves the absorption of amino acids and fat-soluble vitamins, digestion and insulin secretion. * Will relieve the symptoms of diabetes and will minimize the health risks associated with this illness. * People suffering from cystic fibrosis and malabsorption syndrome will also benefit from consuming this oil. * Consuming this oil will improve the absorption of magnesium and calcium which are vital for the development of strong teeth and bones and will prevent osteoporosis. * Relieves the symptoms of pancreatitis, stomach ulcers, Crohn's and gallbladder disease. * Protects the body against colon, breast and other cancers. * It will not cause an increase in platelet stickiness or increase blood cholesterol levels. * It can relieve the pain associated with hemorrhoids. * The fact that it does not increase the blood cholesterol levels means that it will minimize your risk for heart disease and strokes. * Unlike other oils, coconut oil will not deplete your body's antioxidant reserves. * It will also help to relieve the symptoms of chronic fatigue syndrome. * Coconut oil kills the bacteria that cause cavities, meningitis, pneumonia, gonorrhea and many other diseases. * It will prevent premature ageing due to the fact that it protects the body against free radicals. * It increases the metabolism and is lower in calories than other oils which in turn will help you to lose weight. * It can prevent liver and kidney disease and protects against bladder infections. * The use of this oil in hair care products and help prevent and cure dandruff. There are many more nutritional benefits in using coconut oil and by only consuming 4 teaspoons of coconut oil daily you can get all of the above benefits and more. Because coconut oil has a longer shelf life than other oils, you can buy it in bulk and start using it in your daily cooking to replace the other oils you have been using. It's funny when you think about back in the days when coconut oil was prevalent in so many aspects of island life, people were much healthier but with the introduction of lard and beef fat and cornned beef in tins people don't make coconut oil like they used to and obesity has become such a problem in many of the island nations. More the pity as coconut oil has such a beautiful flavour and like the article says has so many uses that it truly is a miracle oil. Can I please see the links to the studies claiming all this? "There is very limited evidence on disease outcomes, says Dariush Mozaffarian, MD, DrPH, of Harvard Medical School and Harvard School of Public Health. "All that has been studied well is the impact of coconut oil on cholesterol levels and the findings are intriguing but we still don't know if it is harmful or beneficial," Mozaffarian says. Neither the American Heart Association (AHA) nor the U.S. government's 2010 Dietary Guidelines suggest that coconut oil is any better or preferable over other saturated fats. Coconut oil, like all saturated fats, should be limited to 7%-10% of calories because it can increase risk for heart disease, according to the AHA and 2010 Dietary Guidelines." This post is very informative. The benefit of natural coconut oil you share is very informative and useful. Thanks for sharing this informative post. I am very glad to get knowledge about the coconut oil. keep sharing. I only use coconut oil as makeup remover, didn't know that coconut oil has so much benefit. Brecon Beacons is the best mountain run in Wales, England and they are beautiful to the point that will draw in individuals with is profundity of peace and greenery but coursework experts help me a lot. So I'm extremely glad that enterprise is being delighted in by a little adorable child. The Blessed Seed Company was founded by Mr. Seifuddeen Goodwin who is a trained masseur with diplomas in both Full body massage and Indian head massage. The company is based in UK and Germany and has been producing the black seed oil since 2002. All of their products are free from GMO. Black seed oil has ability to help prevent skin disorders, diabetes, asthma, cold & flu, digestive problem, cancer, hair loss, obesity, infections like MRSA, among others. Intravenous Vitamins And Minerals recovery oriented Integrative medicinal drug, chemical materials, and high metals, pollen, exhaust fumes, insecticides, dust, molds, unfiltered water, air alongside a fantastically processed weight loss program expose us to lots of synthetic chemical substances day by day low hormones causes.